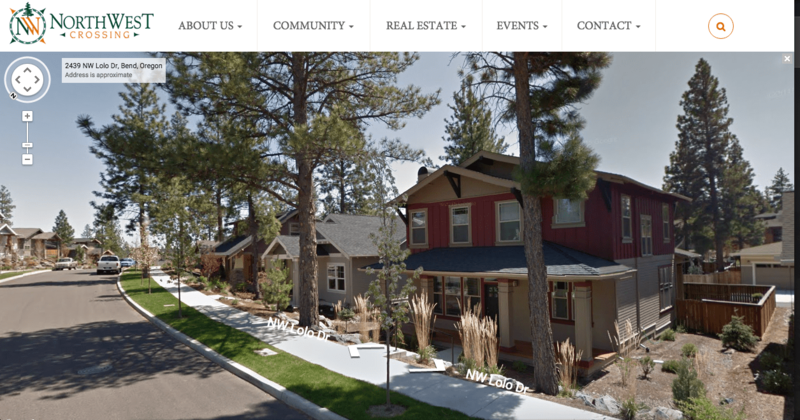 Real estate website case study of the award-winning community in Bend Oregon. 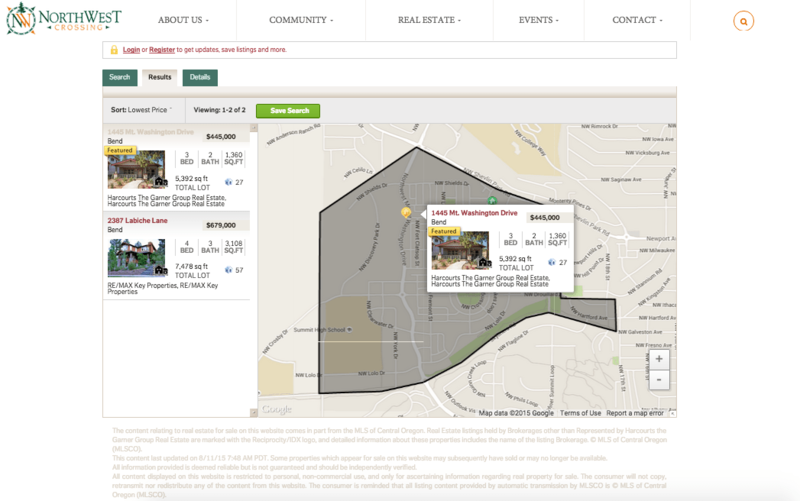 A mixed-use neighborhood with 900 homes, 3 schools, public parks and trails. 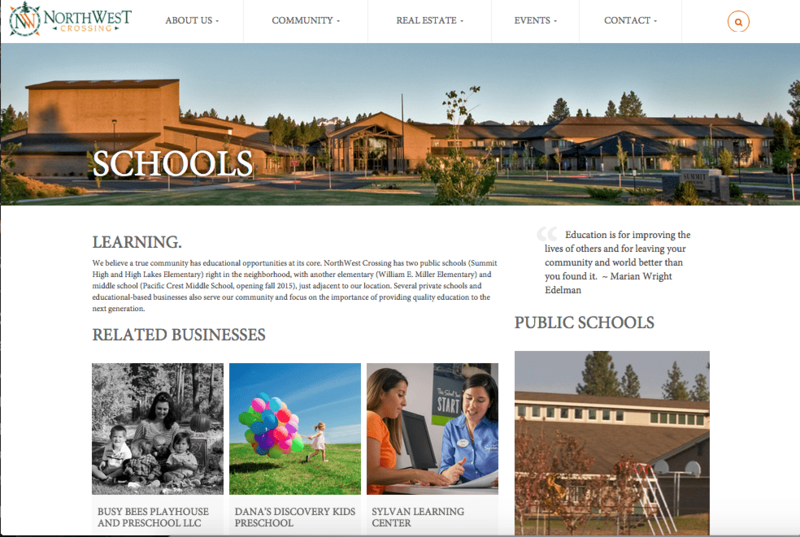 The previous site was over 5 years old and built on a proprietary CMS plus three different WordPress platforms (one for the blog , one for the events section and one for the Farmers Market mini-site).The site had worked well for NorthWest Crossing for much of the time but the client needed a site that streamlined maintenance, was mobile-friendly, and optimized for search with a fresh new look. Alpine recommended the development of a new site, starting with content and information infrastructure from the current NorthWestCrossing.com site, but with updated design, codebase, original graphic design elements, mostly current photography, and new layouts.Initial Site CloneAlpine cloned the current site and placed it on a temporary domain for the new site development.Graphic Design, Usability and PlanningAlpine met with NorthWest Crossing staff, working closely to come up with a new, fresh look and feel for the NorthWest Crossing site which enhanced functionality and flexibility.The initial mockups were done in Photoshop so that changes were easily accommodated before coding starts, early on in the process.Special attention was focused on usability of the new site. Usability studies the elegance and clarity with which your site communicates your messages. Alpine's primary concern was that the resulting site was beautiful, but also that it is efficient, easy to learn, and satisfying to use by all primary audiences.Once the project team had built a plan for how the new site would appear, Alpine again worked together with project staff to migrate all existing functionality (such as site search, secure customer area, facebook sharing buttons, press releases, mailing list signup, contact forms, real estate listings, etc ) to work into the new design.The client had a long-standing focus on gathering high-quality photography, so the new site design lets the photos tell the story.Every page features stunning shots of the homes, lifestyle shots, and community events. 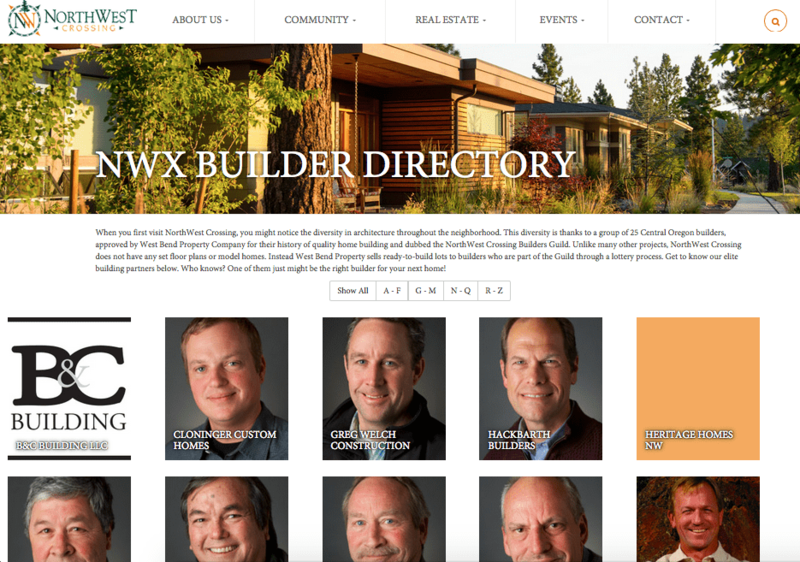 Interior pages were given just as much design consideration, with the knowledge that many web visitors bypass the home page on web searches and dive straight into the site's interior.ProductionOnce a primary look and feel was approved by NorthWest Crossing staff, Alpine moved the site into production. This process involves “slicing” the design into component graphics and style definitions, effectively turning the “2 dimensional” (or flat) Photoshop image into a 3 dimensional, browsable website.Alpine typically produces the graphic design in three stages with a rough draft, a functional design review, then a final review.During each of these functional reviews, the details involved in "finishing" a site requires the special combination of skills brought by the whole team - marketing, graphic design, functional usability, and coding.It is also during these times that it is important to keep a sharp eye on purpose, scope, and target audience usability.Content DevelopmentAs the site framework was produced, NorthWest Crossing provided Alpine with new content. Alpine integrated new and existing content. A certain amount of such time was provided for this assistance and helped move this part of the process along.Once NorthWest Crossing staff was satisfied with content, presentation, and function, we proceeded to launch.Optimization OpportunitiesAs the site was being developed, Alpine found a number of opportunities to pack innovative functionality into the new NorthWest Crossing site.LaunchOf course, launch is the final flurry of activity where final changes, adjustments, and fine tuning is done. This process is usually driven by a shared final punch list and tight feedback cycles as the site gets closer to launch. Alpine uses a comprehensive project management system to track and communicate changes, updates, and progress.Finally, Alpine coordinates the launch to ensure a smooth cut-over from the previous site to the new one. Following a specific process developed over 15 years, Alpine's launch process eliminates unpleasant surprises. 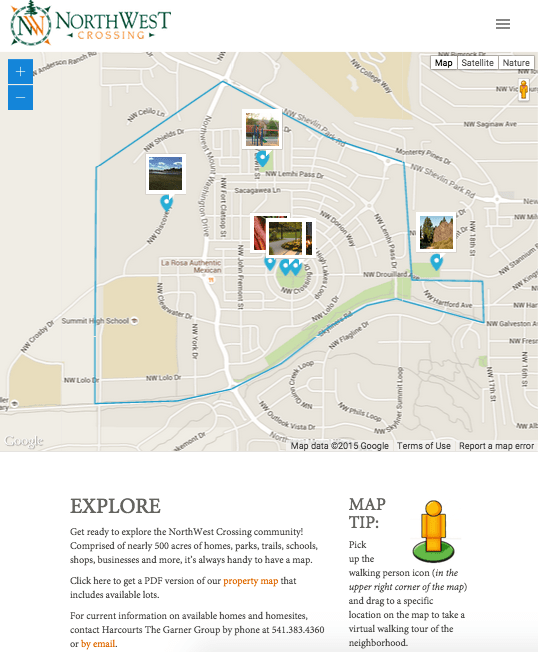 NorthWest Crossing is an award-winning community on Bend’s west side. This mixed-use neighborhood currently includes over 900 residences, 2 public schools, several public parks and miles of trails. 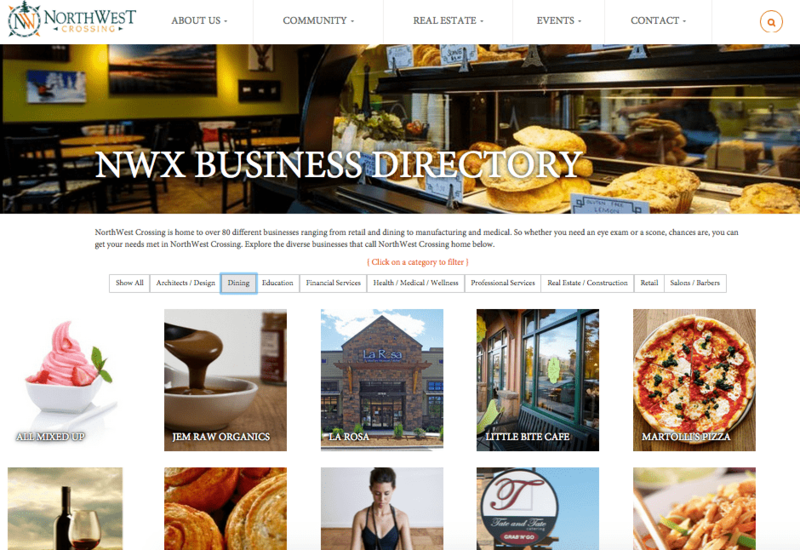 In addition, there are approximately 90 businesses in the neighborhood that range from dining and retail to professional services and manufacturing.